﻿Precise mounting of any type of bracket both buccal and lingual without the need for set-up models. ABP - Accurate Bracket Positioner is a precision instrument designed specifically to provide an ultra precise and reproducible bracket position using the indirect bonding technique. Any type of bracket can be used with any type of prescription without the need for set-up models. • Vestibular working-time is approx - 30 minutes per arch. • Lingual working-time is approx- 45 minutes per arch. Indirect bonding has been used successfully for many years to accurately position lingual or buccal brackets, however we know this to be a long and time consuming procedure, mainly due to the need to prepare an ideal set-up model. The ABP was designed specifically to eliminate the need for this time consuming step, and create a system that offers the full range of dimensional measurements with an easy to operate appliance. 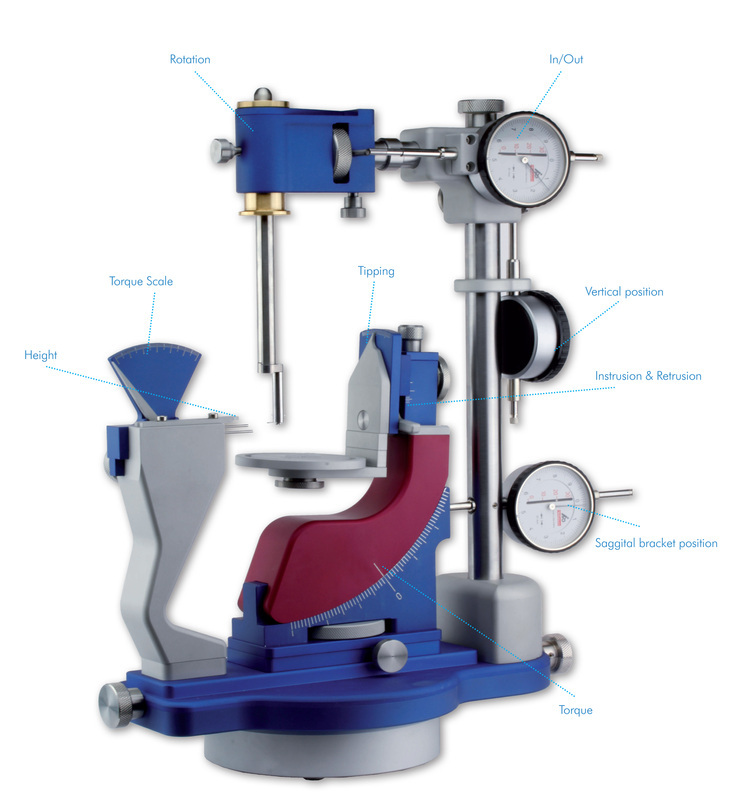 The ABP has been furnished with a complete range of measuring tools. Brackets can be positioned with any prescription as each parameter of the bracket (in-out, height, rotation, tilt, mesio-distal and torque) can be adjusted and measured independently. This enables precise completion of indirect bonding cases, and eliminates the need for time-consuming set-up models, reducing working time substantially.